The effects of being injured in a serious car accident can linger long after physical injuries have healed. If you are suffering from anxiety that is interfering with your ability to work or perform the activities of daily living, you may be entitled to personal injury compensation. In severe cases, people with anxiety can have episodes of intense panic or fear that cause them to believe they are dying. These episodes, also known as panic attacks, are often mistaken for heart attacks. However, the symptoms generally peak within about 10 minutes and rarely last for more than 30 minutes. 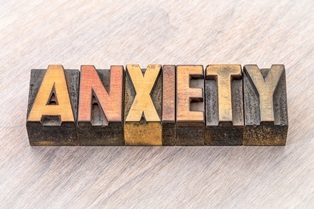 Anxiety is primarily treated through cognitive behavioral therapy, a form of psychotherapy that focuses on addressing anxiety by modifying dysfunctional thoughts, emotions, and behaviors. Exposure therapy, a treatment where patients are gradually exposed to situations that trigger episodes, may also be used if anxiety is interfering with the ability to drive or travel. Medication may be used in some cases, although the potential for side effects means that you must be carefully monitored. Selective serotonin reuptake inhibitors (SSRIs) and serotonin-norepinephrine reuptake inhibitors (SNRIs) are the most common types of medications used to treat people with anxiety. If driving continues to trigger anxiety, a therapist may recommend taking a course for adult drivers. A refresher on driving safety can help you feel more empowered and better prepared to get behind the wheel. Since anxiety disorders aren't immediately apparent in the same way that broken bones, burns, or lacerations would be, keeping careful documentation is essential. You should keep copies of all medical records and bills you receive, as well as records from your employer to document lost wages. Journal entries detailing how your anxiety has affected your daily life can also prove helpful in documenting the extent of your pain and suffering. Witness testimony often plays a vital role in corroborating claims involving anxiety disorders. Your therapist can testify on your behalf, as well as your employer, family, and any friends who have seen specific examples of how your anxiety impacts your ability to function throughout the day. An attorney is not required in a personal injury claim, but having someone to advocate for your interests helps ensure that you receive the highest possible settlement for your anxiety disorder. Your attorney can document your damages and negotiate with the insurance company on your behalf.